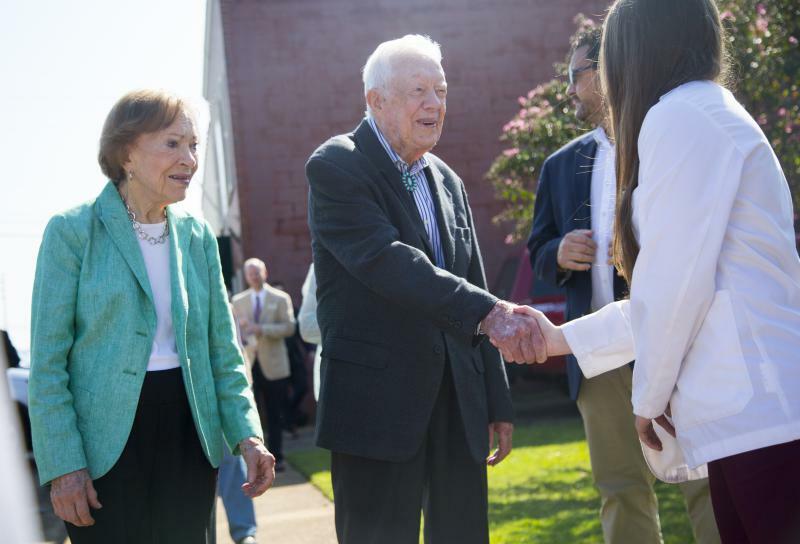 Rosalynn and Jimmy Carter greet one of the Mercer University medical students on hand to officially open the new Mercer medical clinic in the Carters' home of Plains. At the ribbon cutting for the new Mercer Medicine Clinic in Plains on Wednesday, Mercer President William Underwood recalled when Carter dropped the hint about needing a new doctor in town. Underwood remembered telling Carter he’d work on it. 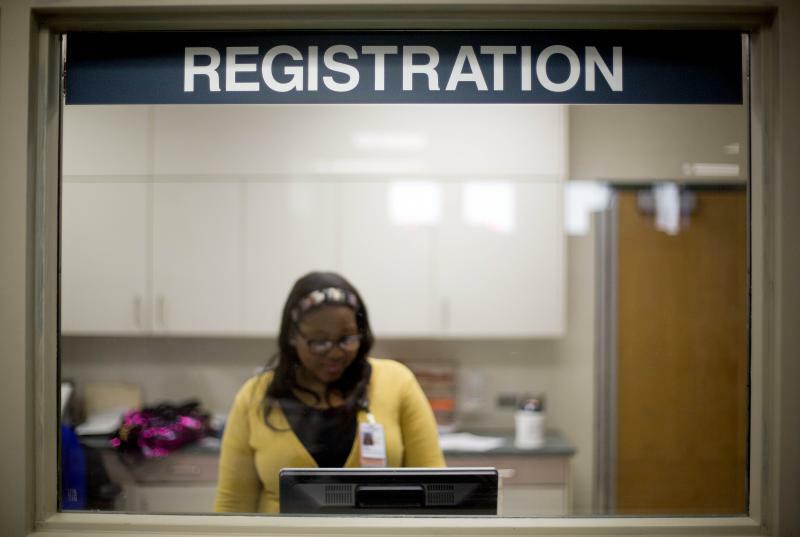 “And then, 10 days later he sent me an email asking where that doctor was,” Underwood joked. Today the doctor is at the end of Main Street in Plains, just past the row of tourist shops commemorating the town’s most famous resident. It will serve as a teaching clinic for Mercer medical students like Taylor Hollingsworth, a second year student from Columbus. Students like Hollingsworth who agree to practice in rural or underserved areas in Georgia get to attend medical school at Mercer for free. Dustin Horne is a fourth year student from Lafayette in northwest Georgia. He said that rather than become a medical specialist, where there is a lot of money to be made, he is opting to be a slightly less well paid general practitioner in his hometown. Former President Jimmy Carter wields the big scissors at the ribbon cutting of the new doctor's office opened his hometown of Plains. 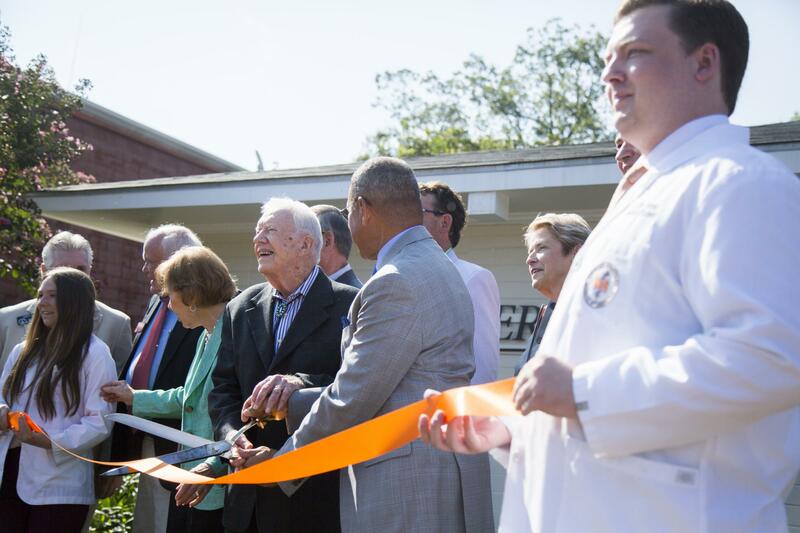 After cutting a ribbon for the clinic not once but three times, so everyone involved could get their picture with Jimmy Carter, the former president pivoted to the politics of healthcare. He said the health needs of people in the places that aren’t Atlanta need to be top of mind for the state’s two gubernatorial candidates. The Plains clinic is the first of what are planned to be many satellite clinics to the main Mercer Medicine clinic in Macon. Like the Plains clinic, the other clinics will be placed in rural areas of greatest need, staffed by general practitioners with specialists available for consultation via telemedicine.